As America recognizes the contributions of its workers on September 5, Petplan pet insurance is marking Labor Day with a celebration of the working dog. From Boxers to St. Bernards, Portuguese Water Dogs to Rottweilers, working breed dogs are larger than life—and so are their vet bills. Petplan claims data reveals that working dog breeds experience more severe injuries and illnesses than their non-working counterparts. 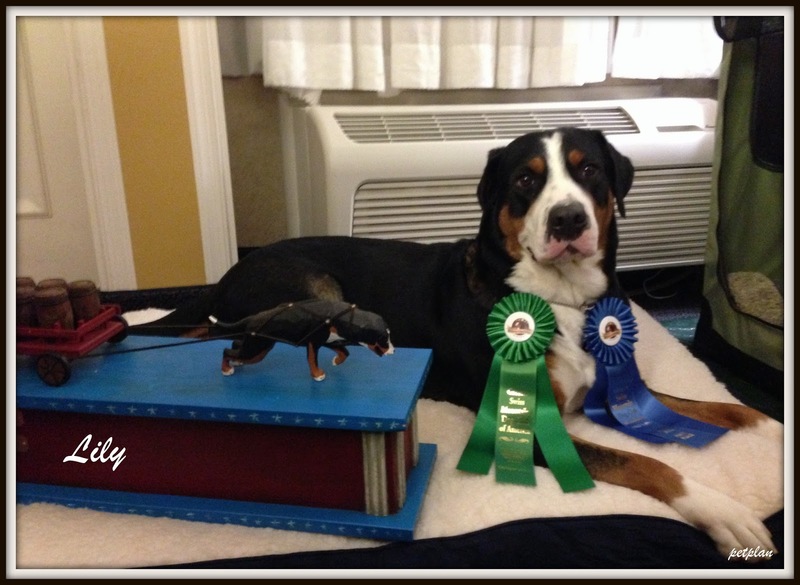 What’s more, the average paid claim for working dog breeds is 35% higher than other breeds. Of the top ten most claimed for conditions of working breeds, three can be particularly costly: cruciate injuries, cancer and foreign body ingestions. These have the most expensive average treatment costs at $3,480, $2,033 and $1,755 respectively. The risk of cruciate injuries in working dogs is 60% higher and claims are 65% more expensive compared to other dog breeds. The breeds’ risk of cancer is 40% higher. While it makes sense that working dog breeds would experience these conditions due to their size and physical activity, the data around claims for foreign body ingestion seems surprising. 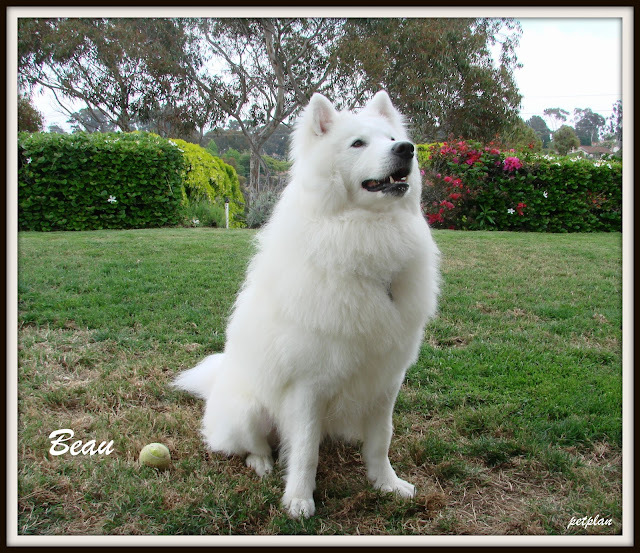 Case in point: Petplan-protected Beau, a 9-year-old Samoyed from California who had to have a tennis ball removed endoscopically in April to the tune of $3,209.03. 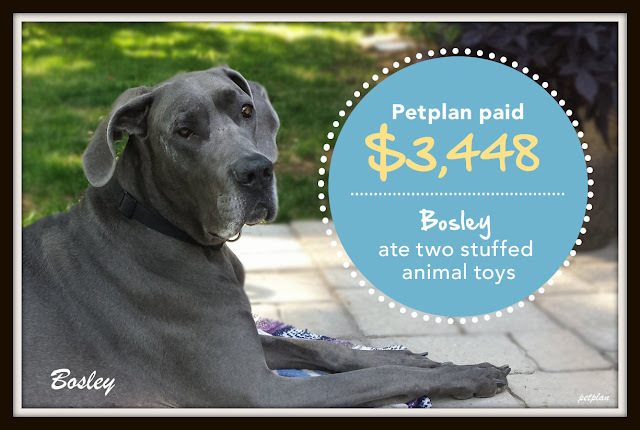 Bosley, a 7-year-old Great Dane from Pennsylvania, racked up $3,448.32 in vet bills last March after he sniffed out and ingested two stuffed animals (a bear and a bee). And finally, Petplan paid a $2,312.85 claim for Lily, a 5-year-old Greater Swiss Mountain Dog from Maryland who ingested a sock in January. For more breed health tips, news and information, point your paws to www.petplan.com. A sad but true fact! Me and Stanley are pure breeds. We are pure bred goldendoodles. Oh wait, now mom says we are mutts. It's confusing. Wow, I never would have thought a dog could swallow a tennis ball.